While Edge of Tomorrow, Tom Cruise’s time traveling alien action movie, was not a huge hit in the US, it did reasonably well following strong word of mouth and great critical reviews. Add to that a stellar box office overseas, and a sequel to the movie that can’t decide what it’s called became something that the studio was very interested in doing. Now, the most important step to making a new film has been taken in regards to an Edge of Tomorrow 2. Screenwriters have been hired. According to Deadline, Joe Shrapnel and Anna Waterhouse have been hired to write the sequel that starred Tom Cruise as a military PR manager who finds himself traveling back in time to a fixed point every time he dies, after a run in with the alien threat that is attacking the planet. The film co-starred Emily Blunt as a tough as nails soldier who helps train Cruise to use the power to fight the aliens. The new writing team was responsible for the Jesse Owens biopic Race, which premiered earlier this year, and has been tapped to write several films following that success. The first film was written by Christopher McQuarrie. While the screenwriters have now been brought on board, what’s unclear is what story they’ll be writing. Tom Cruise has said that he had an idea for a sequel that was apparently so good that it made Christopher McQuarrie angry, because the experience of making the first film was a difficult one that he was not excited to return for. However, he apparently liked the idea so much it has pushed him to come back. There’s no word, however, if Anna Waterhouse and Joe Shrapnel will be working off this idea, or something entirely different. They will certainly have to come up with something inspired to make a sequel work, as the original did the very un-Hollywood thing of actually giving their film an ending and didn’t really leave the story open for more. Crusie’s idea apparently would call for the return of Emily Blunt as well, which is fantastic as she was one of the film’s highlights. For her part, Blunt has expressed interest in a sequel as long as it’s up to par with the original. Edge of Tomorrow has continued to find an audience, though those that have found the film on DVD may have had difficulty locating it, as Warner Bros. actually changed the film’s title from Edge of Tomorrow to Live. Die. Repeat when it was released on home video. This means that we have no idea what an eventual sequel would even be called. 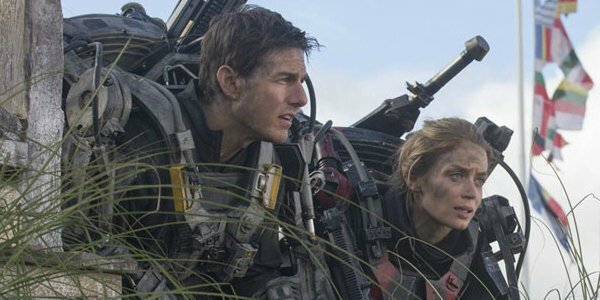 Did you see Edge of Tomorrow the first time around? How on board are you with the idea of a sequel?